The trouble is, I am terrified of flying. I know, it doesn’t make a whole lot of sense, plane-safety statistics being what they are, and considering how often I fly. Still, I am thrown into a tizzy every time I board a plane. It’s not great. To make matters worse, the Air France terminal at JFK is just the pits. (I know, my life is terrible!) Unless you enjoy rubbery chicken with sprayed-on grill marks, or Chinese food languishing under a heat lamp, you’re out of luck. And so, on this trip, I’ve decided to take control of my own destiny; at least where dinner is concerned. 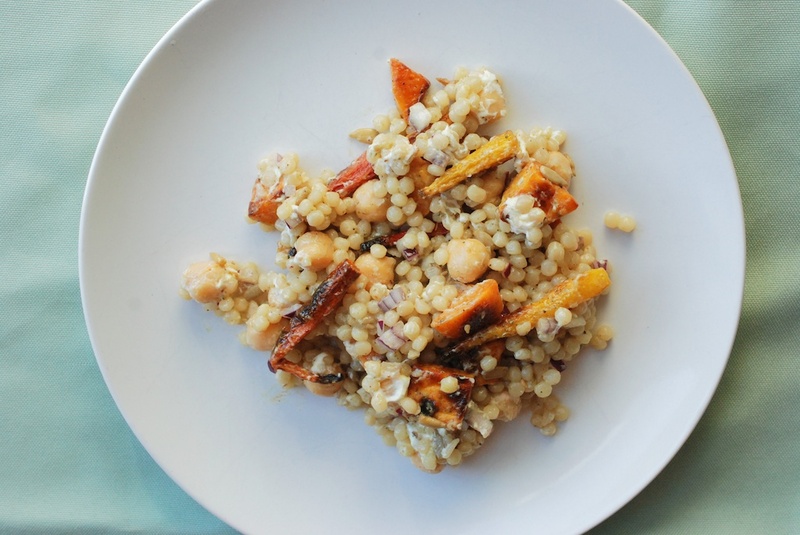 The following couscous salad is tasty, balanced, and healthy. It travels incredibly well; I may just dip into it for breakfast, too. I plan to pack containers for the Frenchman and me, alongside a few other tiddly-bits: Marcona almonds and green olives as a snack, skinny prosciutto sandwiches with slivers of Manchego and Tarentaise rescued from the cheese drawer, and squares of sea salt-brown butter rice krispie treats for dessert. Air France, stalwart French airline that it is, still serves Champagne gratuitement. So at least there’s that. A note on holiday posting: During our sojourn, my intention was to keep on posting twice per week, as if we were not away, as if we were not in another country. I will likely cook and help in the kitchen on this trip, but I realized that it probably wouldn’t be stellar houseguest-behavior if I spent our vacation head-down over my computer, writing and editing photos, when I could be sipping mulled wine and chit-chatting in broken French. And so, this week and next will be a bit of an interrupted schedule. Next week there may be a recipe, or perhaps a photo essay. For now, I am leaving it up to how I feel and what I see and what I cook. I’m living on the edge! A note on the pumpkin seed oil: I think this oil lends the salad a pleasant, nutty flavor. However, if you don’t have any, or don’t feel like buying some just for this dish, feel free to substitute olive oil. 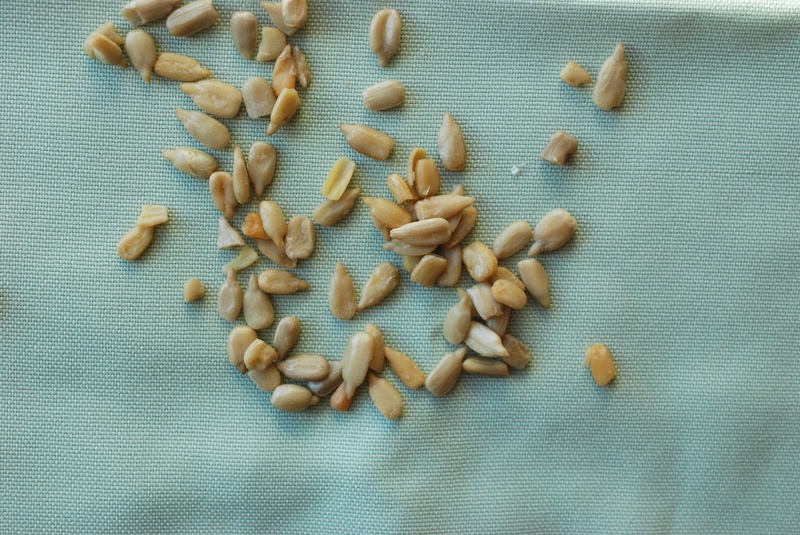 You could also use half pumpkin seed and half olive, if you like. 3. Line a baking sheet with foil or parchment paper. 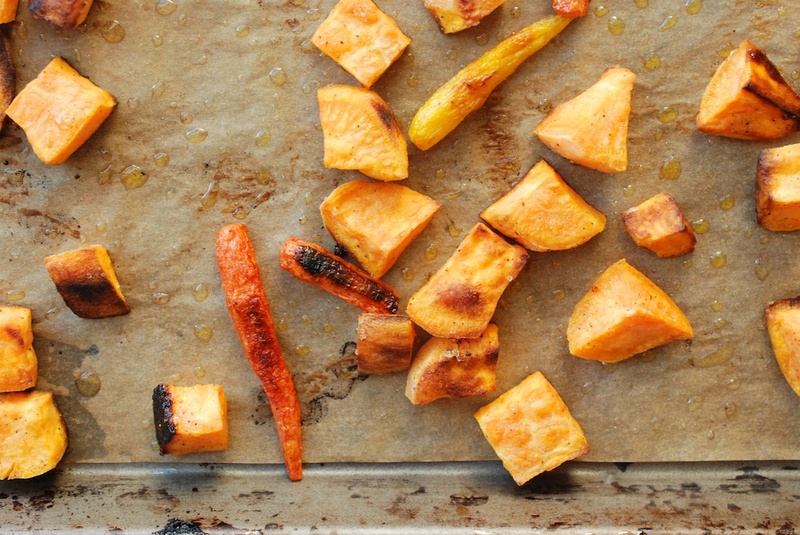 Toss the sweet potato and carrot pieces with 1.5 tablespoons of the olive oil, and generously with sea salt and black pepper. Move the vegetables to the baking sheet, arranging them so they aren’t too crowded. 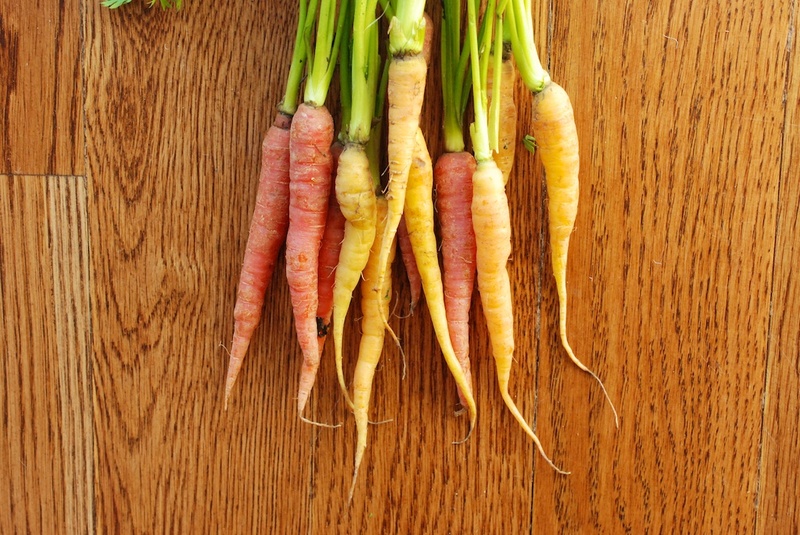 (You want them to roast and caramelize, not steam.) Move the baking sheet to the oven: roast for about 30 minutes, moving the vegetables around ever 10 minutes or so. They are done when blackened in spots, and cooked through. 4. In a small pot, bring the chicken or vegetable stock to a simmer. 5. Meanwhile, mince the garlic. Heat the remaining 1/2 tablespoon of olive oil in a medium pot over medium heat; when the oil is warm, add the garlic. Cook for about 30 seconds, until fragment, and then add the couscous. 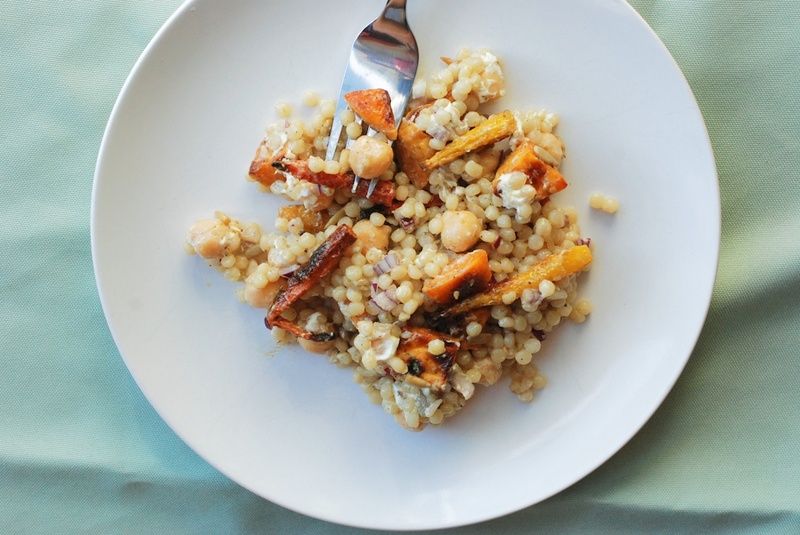 Toast the couscous for about 1 minute, and then add the hot stock. Put the lid on the pot, and set the timer for 10 minutes. After 10 minutes, remove the lid: there should only be a little liquid left in the pot. Cook for another 1-2 minutes with the lid off, until the liquid is largely disolved. Take the pot off the heat. 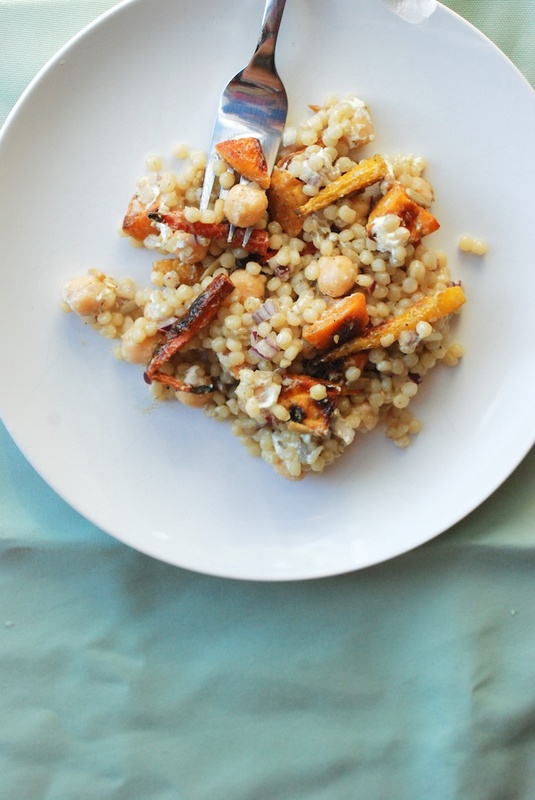 You can add a tiny bit of olive oil now if you like: it will help prevent the couscous from sticking together. 6. Make the dressing: add the lemon juice and the Dijon mustard to a small bowl, along with a pinch of salt and pepper. Use a fork, or the back of a spoon, to mix. Pour in the oil, and whisk to emulsify. 7. Mince the red onion. 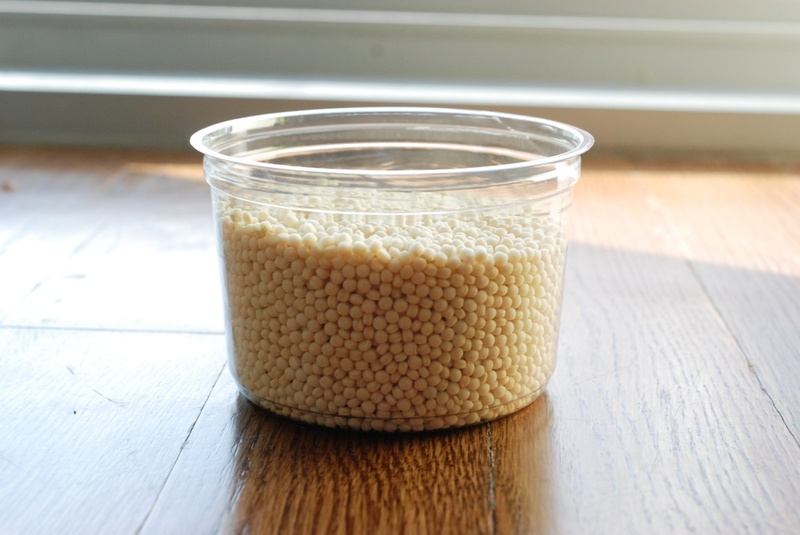 Wash the can-goop off the chickpeas. Crumble the goat cheese. 8. 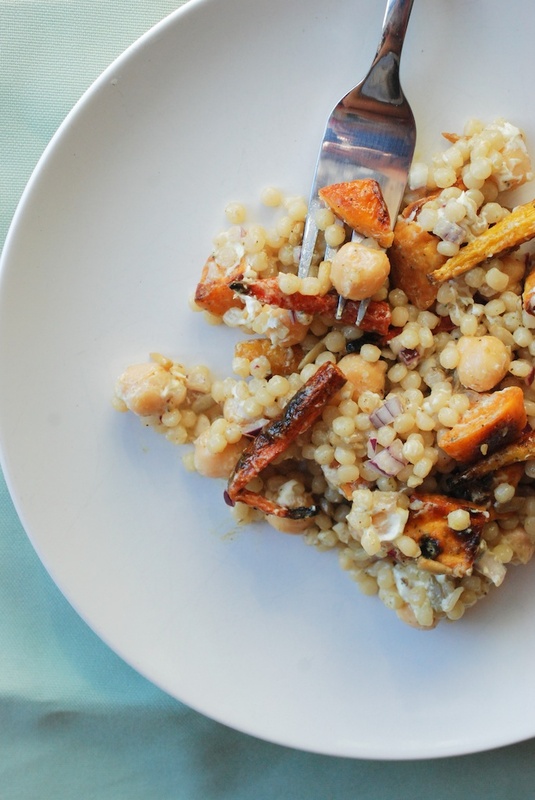 Now you can mix everything together, right in the couscous pot. Add the: sweet potatoes, carrots, dressing, red onion, chickpeas, goat cheese, za’atar, and pumpkin seeds to the couscous; stir. You can eat the salad warm, or at room temperature. I agree, a far superior way to eat on a plane – can I put in my order now?